The AB Film group at Carnegie Mellon regularly schedules current and classic films. Movies screen at McConomy auditorium on campus. Admission is $1 for CMU students (with ID), and everybody else only pays $3. Complete schedule here. Here’s what playing this week, which you’ll note includes an Oscar 2013 contender. End of Watch. L.A. cops get caught up with gangs. Starring Jake Gyllenhall and Michael Pena. 8 p.m., 10 p.m. and midnight. 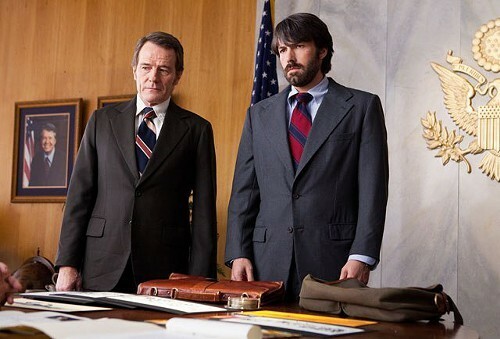 Argo. Based on true events, the CIA comes up with kooky plan to free Americans trapped by Iranian revolution. Political thriller combined with comic send-up of Hollywood. Ben Affleck stars and directs. 8 p.m., 10 p.m. and midnight. The Good Shepherd. 2006 political drama about post-war CIA, as told through the experience of one agent. Matt Damon stars. 6 p.m., 9 p.m. and midnight.